During my sophomore year I took an OHG Intro to Philosophy class, which was taught by Karen Galat. 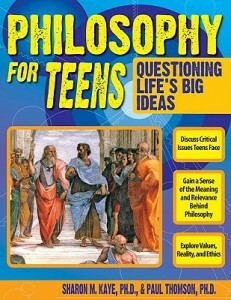 We used the book Philosophy for Teens, Questioning Life’s Big Ideas, by sharon M. Kaye and Paul Thomson. 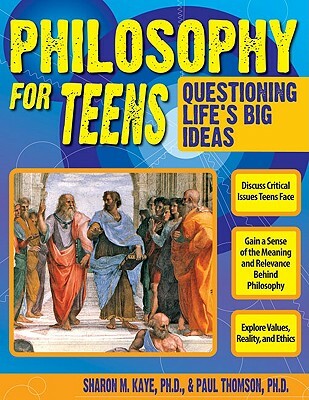 The book was a very basic introduction to philosophical concepts and history. Between classes I completed the reading assignments, and at class we would discuss the logic and ethics exercise questions from the section of the book we had read. While taking this class, I think that I learned more about my own personal philosophy and how my classmates think than I learned about specific philosophers and concepts. 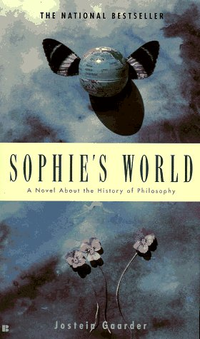 I wanted to learn more in-depth about philosophy while taking the OHG class, so I read the best seller Sophie’s World by Jostein Gaarder. It is a mystery about a young girl, Sophie, who becomes embroiled in a discussion of philosophy with a faceless correspondent. The book had a great explanation of why different ways of thinking are important and more detail about how ideas work in the world.